The Vietnam War is one of the most politically charged and most studied in recent American history. But the men of regiment Delta 2/5(R) examine the conflict in much finer detail than many historians by completing a punctilious annual reenactment of the war. 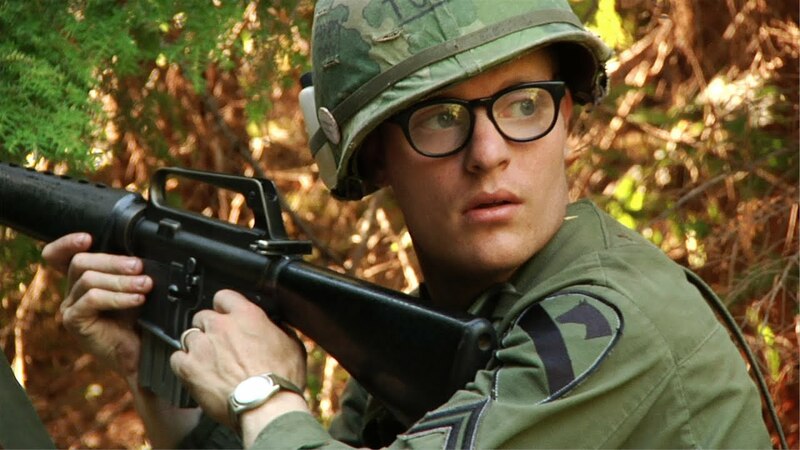 With striking historical accuracy, rare archival footage and a deeply personal inspection on the effects of PTSD, In Country artfully activates the similarities between past wars and the military conflicts of today. The film is highly recommended for courses in History, Sociology, Psychology, Military Studies and Performance Studies. "O'Hara and Attie never judge the players, letting their words and actions speak, though those actions are often intercut with footage from the real war."